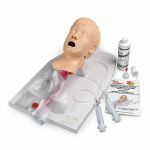 Life/form Advanced “Airway Larry” Airway Management Trainer is now even better with chest skin that lets you practice defibrillation using standard manual, automatic, or semi-automatic external monitor defibrillators. An internal load box absorbs the full strength of every shock to protect students and equipment. 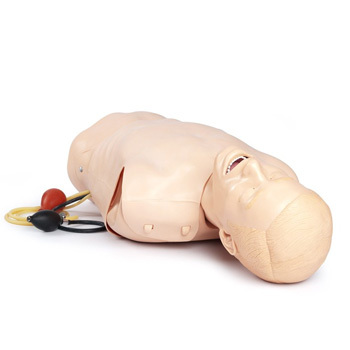 It is also possible to monitor the manikin, just like a real patient, and is compatible with all standard brands and types of defibrillators, monitors, and patient simulators. Features four ECG sites and two defibrillation sites. 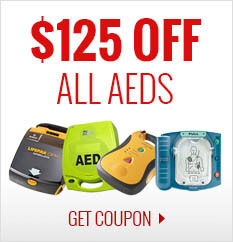 Perform manual, semi-automatic, and automatic defibrillation. 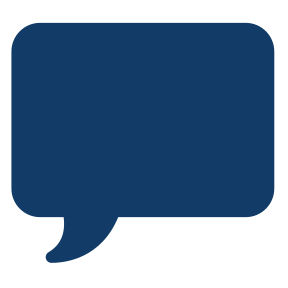 The trainer offers the same great benefits of the standard and advanced models, so your students can practice virtually all of the challenges they may face in the real world. 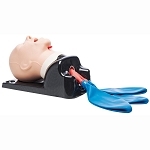 This airway management trainer simulates nonanesthetized patients for practicing intubation, ventilation, suction, and CPR techniques. Features tongue swelling and laryngospasm. 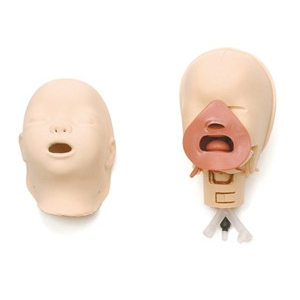 Realistic anatomy and landmarks include teeth, tongue, oral and nasal pharynx, larynx, epiglottis, arytenoids false cords, true vocal cords, trachea, lungs, esophagus, and stomach. Practice oral, digital, and nasal intubation, as well as E.T., E.O.A., P.T.L., L.M.A., E.G.T.A., Combitube, and King System insertion. Applying pressure to the cricoid and thyroid cartilage changes the position of the trachea and closes the esophagus allowing realistic practice of the Sellick maneuver. Manual carotid pulse. 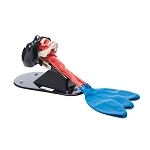 With its slightly anterior position, swelling tongue, and vocal cords, the Advanced “Airway Larry” is a great trainer for introductory and advanced training. 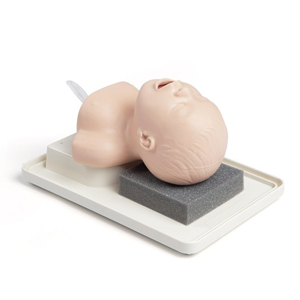 Mounted on a CPARLENE basic torso allows both CPR and airway management procedures to be practiced. 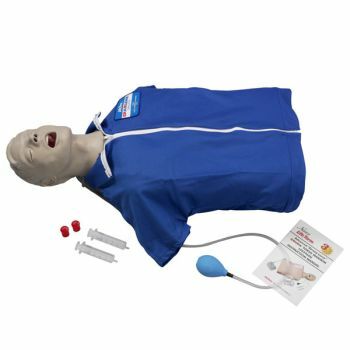 Includes pump spray lubricant, disposable lower airway for the manikin, and instruction manual. Five-year warranty.